We’ve all heard sugar is bad for you. There have been so many headlines sounding the warning that I’ve had many clients ask me if fruits and vegetables are bad because they contain sugar! My answer is while, YES, they do contain sugar, fruits and veggies are still an important piece to overall good health. The reason is simple. Not all sugar is bad for you. 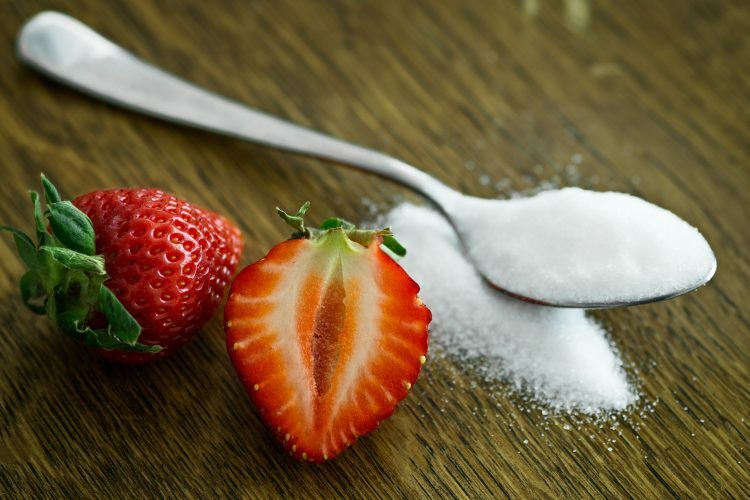 At a time when consumers are becoming more educated on the dangers of sugar, it may sound contradictory for a Certified Nutritional Consultant to tell you not all sugar is bad but the truth is, there are good and bad sugars. First we need to answer what sugar actually is. Warning: science detour ahead but follow me for a minute so you really understand what happens in your body. Did you know sugar is actually a carbohydrate? In fact, it’s the simplest form of a carb. When your body digests what is called “complex” carbs (potatoes, whole wheat bread, oatmeal) it actually breaks them down into “simple” sugars. When we consume too much sugar that’s when we get into trouble. At that point our body can no longer use it as energy and instead stores it for later by converting it into fat. Too much sugar in the body also leads to chronic inflammation which leads to disease, gut problems, brain fog, cancer, tooth decay….the list goes on and on. Good sugar is found in whole, unprocessed foods like vegetables, fruits, legumes and whole grains. “Good sugar” provides essential nutrients, fiber and vitamins, as well as being low in calories that our body “needs” to maintain a healthy balance and gut. The bad stuff is “added” sugars like the coffee creamers, white processed sugar, tomato sauces, salad dressings that aren’t homemade, frozen dinners and soda. I’m talking primarily PROCESSED FOODS. The bad sugar usually comes with lots of extra calories and very little to no nutrients. I like to call it “convenience junk”. Processed foods will put you on a ‘sugar roller coaster’… sending your blood sugar on an up and down cycle leading to cravings. Whole foods that include fiber actually SLOWS down the absorption of sugar into the bloodstream keeping you feeling more level and satisfied. So the next time you are wanting something “sweet” give it a second thought. First start with water, as sometimes thirst can be mistaken for cravings. If that doesn’t work, reach for a whole food that is not only sweet, but full of fiber and nutrients that will satisfy and fuel you to better health!